Today’s board members are on the move. As they travel to serve on multiple boards and find themselves scattered between cities on business, board books and sensitive communications are being sent to directors by any means necessary. Alarmingly, this includes an array of “day-job” email accounts and messaging services. Directors may not immediately realize they are exposing their communications to eDiscovery in the event of litigation. 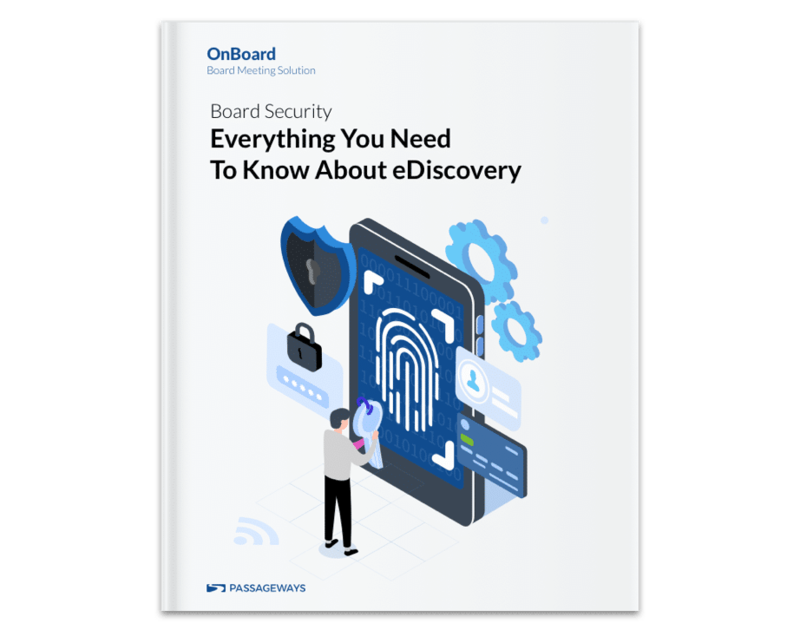 Directors and organizations must reconsider their communication security as litigation and costly eDiscovery weigh on their minds.